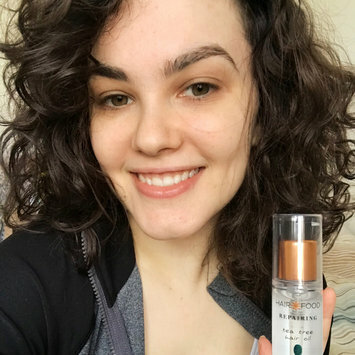 * I recieved this product complimentary through Influenster * I was so excited about this product that I decided to write a review after just one use. 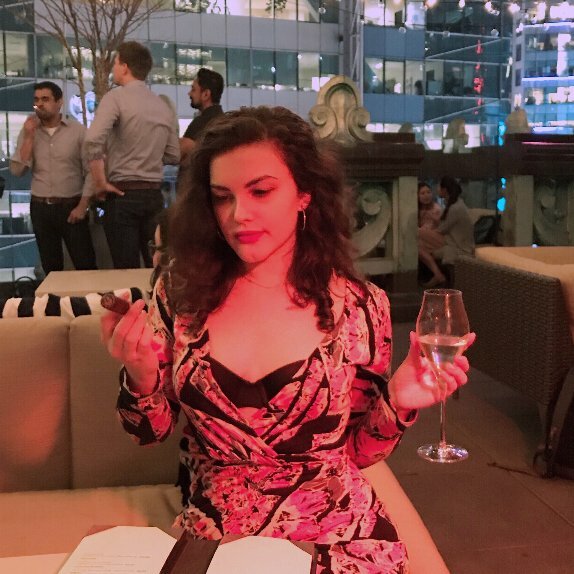 I have thick, very curly hair, so dryness is a definite issue, and perhaps more annoyingly is the fact that using any hair oil to combat the problem results in greasy, flat hair. Hair Food’s tea tree hair oil is a gamechanger for me because not only does it leave my hair soft and shiny (sans grease), but it also preserves my curl pattern and natural volume! I use it when my hair is slightly damp, running it through from scalp to ends and allowing it to continue air drying. This is definitely a new part of my hair routine, and I couldn’t be happier that it fits my wash and go lifestyle! Nothing soothes my dry winter skin quite like this, and with a pleasant (yet subtle) scent to boot! I’m always surprised at just how silky smooth my skin is after just one use - this goes for elbows and knees too! It’s great to put on after a shower for an especially luxe at home spa experience. In LOVE with this dry shampoo from Devacurl! Not only does it smell AMAZING - no easy feat being that most dry shampoos suffer from chemical smell syndrome - but it really leaves my hair and scalp feeling clean and allows me to put off washing my hair until the evening or even until the next day if I’m not feeling an early morning shower. It’s also just a great refresher if your hair is looking ‘bleh’! This towel really works! I find that using it to dry my hair (and to sleep on if I’m going to bed after a shower) cuts down on frizz and allows me to emerge with nice, defined curls, with little to no additional product used. It’s a bit pricey, but you can usually purchase it as part of a set and save some green while you’re at it! LOVE this palette! Gorgeous, pigmented, creamy colors that are easy to apply and look amazing! There are colors for everyday wear and for days (and nights) you’re going for a showstopping look. There are endless possibilties with this palette, and though its pricey, it’s 1000% worth it. An added bonus is that the creamy texture of the shadows is very forgiving if you’re not a master makeup artist! I only rate this 3 stars because I find the quality to be lower than that of Urban Decay’s other eyeshadow palettes. The eyeshadow is not as creamy, as easy to apply, nor as long lasting. What I do like: great array of colors! The names are escaping me at the moment, but the creme and light pink shadows are great as a base as well as for everyday wear. I find that even the bold colors are subtle enough if I do only one layer. I’m also a huge fan of the packaging - very easy to travel with. This is a great product I love to use on top of my makeup! It blurs any remaining imperfections, gives my skin a smoother look, has a natural finish, and applies easily. It also lasts throughout the day, even through sweat and sun! A definite bonus is that even though this setting powder is a bit of a splurge, you get so much product when you purchase, and a little goes a long way, that you get a lot of bang for your buck! If you know me, you know I love multi-use products. Clarins Sun Care Oil Spray is a sunscreen that’s good for your skin, AND you can also use spray it on your hair to protect your scalp from the sun (bonus: good for your hair too!). It applies easily and is long lasting - only problem I find (and this applies to pretty much all sunscreen/lotions) is that your hands become coated in the product as you apply it, and its a little difficult to hold onto the bottle. My temporary solution: I wrap a paper towel around the bottle so I’m able to wipe my hands on that instead of the bottle! So far, so good! I’d been in the market for an effective whitening, non-toxic toothpaste for a while, and I couldn’t be happier that I came across this product! The toothpaste smells great, leaves my teeth feeling clean (which not all organic toothpastes do! ), and my teeth are definitely whiter! It also doesn’t hurt that a tube of this stuff is about the same price as the Crest/Colgate family. I recommend this to anyone who is looking for a non-toxic alternative to their toothpaste, but does not want to sacrifice effectiveness!